duPont Registry Elite Detailer's Alliance is an exclusive, invite only association with less then 20 members nationwide. We are honored to be recognized with this level of prestige for the high level of work that we perform in our studio here in Cleveland, Ohio. Check out more about duPont Registry and the affluent lifestyle that they represent. Stop by the studo to pick up your complementary copy. Cleveland Hotlist is a comprehensive list of the best businesses in Cleveland. There are over 150 categories and out of 41 nominees for automotive detailing, Rehab Detailing placed 2nd our first year being nominated. Check out the other category winners to find some of the best of what Cleveland has to offer! Fine Lifestyles is a Cleveland magazine that is distributed to affluent households in cleveland and contains articles and advertisements on some of the very best businesses and lifestyle events that Cleveland has to offer. 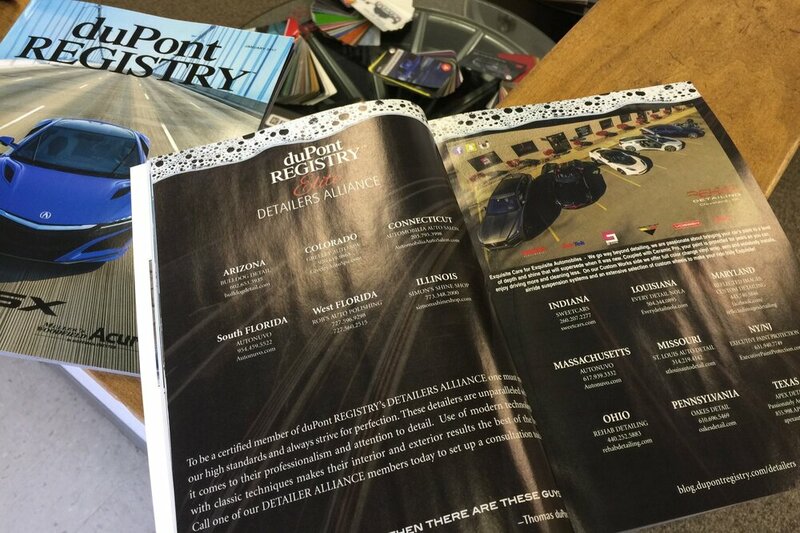 We have been featured in several of their quarterly issues and have been given the prestigious recognition of being the Best of the Best Detailing Shop for 2015 and 2016. 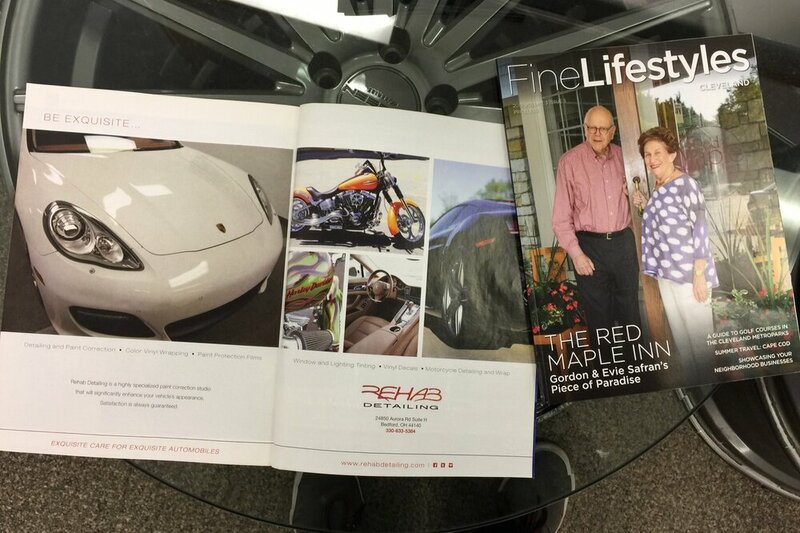 Stop by our studio and grab a complementary copy of the Fine Lifestyles magazine.